Headaches can be a mild inconvenience to something that cripples your daily life. Having said that, when you experience pressure or pain over your head, it is difficult to zero in on as to which type of headache you are suffering from, whether it is a typical tension type or migraine. Differentiating a traditional headache from a migraine headache (and the other way round), is important as it would help faster relief through better treatments. It can also keep at bay further headaches in the future to a certain extent. However, more often than not a bout of traditional headache might be mistaken for a migraine, but there are some telltale differences. Different factors trigger them and the symptoms themselves are different. Let’s first understand what a traditional headache and migraine headache are. Headaches are bitter pain in your head that can lead to pressure and aching. The pain can be mild, moderate or severe. In case of a traditional headache, the pain can occur on both sides of your head. Forehead, temples and back of the neck are the areas where usually headaches can occur. Do you know a headache can last anywhere between 30 minutes to a week? The so-called traditional headache is a type of tension headache. Triggers include stress, muscle strain, and anxiety. Other types of traditional headaches are cluster headaches, sinus headaches, Chiari headaches, thunderclap headaches. These headaches are sharp and severe compared to a traditional headache. Migraine headaches are often accompanied by other symptoms in addition to head pain. It can be said that migraine headaches are more debilitating than a traditional headache. In case of a severe attack, there are people who seek care at emergency room to get a relief. 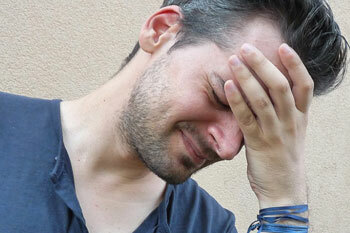 Generally, migraine headaches affect only one side of the head. However, it can affect both sides of the head at times. When it comes to a migraine headache, the pain is throbbing and you just won’t be able to carry out daily tasks. The traditional headache gives the patient the sensation that an elastic band is squeezing his or her head. The headache is set off by the contraction of muscles between the head and neck. The pain is felt across the head and it could be either mild or moderate. It generally loses its intensity after a couple of hours. A migraine, in comparison, can be moderate to severe in intensity. It is of throbbing nature at the front or the side of the head. Even after hours and days, there won’t be any sign of abatement and it is often accompanied by other symptoms sometimes referred to as “aura”. There won’t be any warning signs before a traditional headache, whereas a migraine gives warning signs (aura) beforehand. This is on account of changing neurological effects and reactions in the brain. Visual aura happens as there is an alteration in the patient’s perception. It could be in the form of wavy or jagged lines, flashing lights, dots, dark or colored spots, stars or ‘sparkles’. Visual auras coupled with sensitivity to light exacerbate the problem. Auditory symptoms include speech and hearing disturbances. These are usually accompanied by sensitivity to loud or complex sounds. Psychological symptoms of a migraine headache include sudden change in mood, tiredness, thirst, hunger, confusion, feelings of fear, lack of control and memory changes. As for the physiological ones – numbness, tingling, the sensation of spinning or vertigo, increased urination, weakness and fainting. The symptoms above mentioned are subjective, which means two people suffering from migraine may have different set of symptoms. But they can identify their trigger factors over time, which will help them to get themselves into a quieter and less visually active environment to prevent the symptoms developing into a full-blown attack. Ironically, there are two types of migraines without auras as well, but they have a distinctive set of other symptoms – basilar migraines and familial hemiplegic migraines. Triggers of a traditional headache can be varied. Sudden stress and anxiety can trigger off the symptoms. Depression is also a contributing factor. Poor posture can lead to musculoskeletal problems which in turn lead to headache. Other causes include tiredness, dehydration, hunger, smells, squinting, noise and sunlight. Migraine is also set off by varied reasons. One of the main factors for migraine is chemical reaction in the brain. Hormonal changes can also bring about migraine. Women can experience migraine headache during menstruation. During menopause the condition may worsen. Low blood sugar, hypoglycemia from not eating when we need to are the other contributing factors of migraines. Eating a sugar-rich meal can lead to migraine attacks setting in. Other trigger factors for a migraine attack are emotional anxiety, physical factors, exercise, medicines, contraceptives, medicines, dehydration, alcohol, computer screens and diet. Patient would not have many other symptoms. Patients usually have symptoms beyond the head pain and will be unable to carry out everyday tasks. Rarely starts during sleep. Often starts during sleep. Can be either episodic (lasting a few hours) or chronic (lasting for days). Usually last for a few hours or up to a few days.